Milan, 30 October 2009 – At a meeting today in Milan chaired by Roberto Colaninno, the Board of Directors of Piaggio & C. S.p.A. examined and approved the quarterly report at 30 September 2009. During the third quarter of 2009, the Piaggio Group confirmed the significant improvement in operating results that had already emerged in the second quarter: thanks to the competitiveness of its product lines, operating efficiency and the strong recovery on the Asian markets targeted by its expansion strategy, the Group further strengthened the positive trend turnaround. Group consolidated net sales amounted to € 1,173.1 million, compared with € 1,289.3 million in the first nine months of 2008. (-17.3%, including the figure for Italy), and in the USA (-43.7%). Meanwhile, the Group reported excellent performance in the Asia-Pacific area, with revenues of € 43.9 million, up 24.8% from the first nine months of 2008. The commercial vehicles business boosted revenues by 3.9% in the first nine months, to € 310.6 million, compared with € 299.0 million in the year-earlier period. Performance was particularly strong on the Indian market, where turnover gained 9.8% over the first nine months of 2008. The industrial gross margin was € 374.3 million, against € 390.5 million in the first nine months of 2008. The growth in the ratio of the industrial gross margin to net sales was particularly significant, rising to 31.9% in the first nine months of 2009 from 30.3% in the year-earlier period. The ratio made further progress in the third quarter of 2009, reaching 33.1% from 30.4% in Q3 2008, reflecting the success of the action taken to improve product margins. Consolidated EBITDA was € 172.1 million in the first nine months of 2009, compared with € 179.4 million in the first nine months of 2008. The EBITDA margin showed a healthy improvement to 14.7% compared with 13.9% in the first nine months of 2008. The improvement was even stronger in the third quarter, with an EBITDA margin of 17.1%, compared with 13.2% in Q3 2008. EBIT was € 103.1 million at 30 September 2009, compared with € 110.1 million in the year-earlier period. The EBIT margin was 8.8% in the first nine months of 2009, compared with 8.5% in the first nine months of 2008; in the third quarter it rose to 11%, from 7.3% in Q3 2008. The first nine months of 2009 closed with a net profit of € 40.1 million (compared with € 62 million in the first nine months of 2008, a net loss of € 4.7 million in the first quarter of 2009, and a net profit of € 25.7 million in the first half of 2009), after income tax of € 39.4 million (€ 21.8 million in the first nine months of 2008), determined, in compliance with IAS 34, on the basis of the estimated full-year average tax rate. Consolidated net debt decreased from € 359.7 million at 31 December 2008 to € 352.6 million at 30 September 2009, with cash flows totalling € 7.2 million in the first nine months of 2009. Shareholders' equity at 30 September 2009 totalled € 415.2 million, against € 398.2 million at 31 December 2008. In the first nine months of 2009, the Piaggio Group sold a total of 475,100 vehicles, of which 332,500 in the 2-Wheel business and 142,600 in the Commercial Vehicles business (compared with an overall total of 537,900 vehicles in the year-earlier period). In the January-September period, the Piaggio Group displayed greater competitiveness in terms of product ranges and brands, outperforming market trends in a number of markets and/or product segments. On the Italian two-wheeler market, in the first nine months of 2009 the Group raised its overall market share to 30.1% (with an increase of 1.9 percentage points from the first nine months of 2008), thanks to eight consecutive months of growth in the branded scooter segment, where from January to September 2009 the Piaggio Group reached a 34% market share (+2.6 percentage points from the year-earlier period). 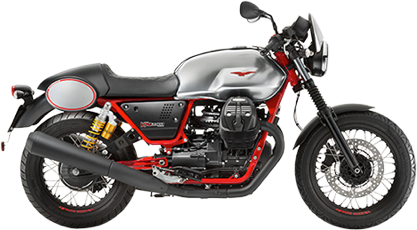 The Group also reported healthy performance in over 50cc motorcycles (a 5.3% share in the first nine months of 2009, +0.2 percentage points from the year-earlier period), despite the sharp downturn in the segment, which, in Italy, showed an overall decline of 20.9% from January to September. The Piaggio Group’s positive result was due not only to the success of the new scooters and motorcycles launched in 2009, but also to the absolute excellence of its racing results, specifically for the Aprilia brand, which this season has already won three world titles in the world speed championship; in the Superbike world championship, the new Aprilia RSV4 1000cc V4 immediately displayed its competitiveness in its debut year with one win and nine podiums. 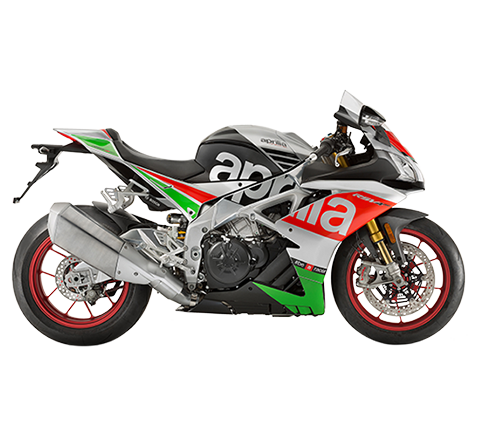 Since the Piaggio Group’s acquisition of Aprilia (December 2004), the Racing Division in Noale has won 19 world championships (15 in the world speed championship and 4 in motocross), to bring the Aprilia trophy portfolio to 43 world titles, making it the most successful Italian and European name ever in world championship racing. In the commercial vehicles business, with 3,986 vehicles shipped in Italy from January to September 2009, Piaggio boosted sales by 6.1% from the first nine months of 2008, decisively countering the overall industry trend (-26.4% in the first nine months of 2009) and raising its Italian market share to 3.1% (+1 p.p. 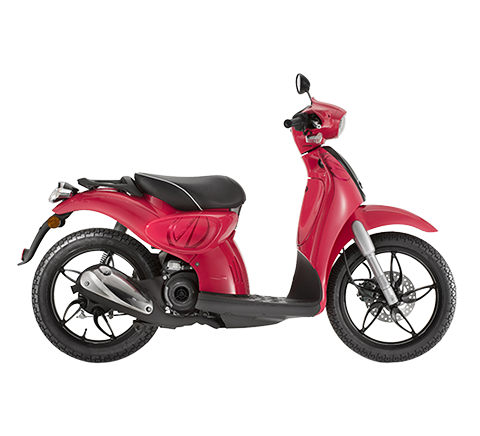 ), thanks to availability of low-emission electric and LPG and methane bi-fuel engines on the new Piaggio Porter. 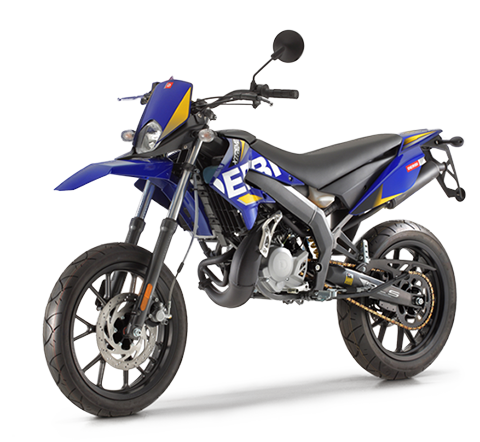 The Group also reported significant growth in two-wheeler vehicle sales in the Asia-Pacific area, with a total of 18,400 units shipped from January to September 2009, for growth of 4.5% compared with the year-earlier period. In this region, in the third quarter of 2009 the Group already began to feel the benefits of its commercial operations in Vietnam, where sales of the locally produced Vespa range began on 24 June 2009, winning a very positive response from the market, where demand is growing at rates above the budget projections for the current year. Despite difficult market conditions, in the Commercial Vehicles business too, the Piaggio Group reported an improvement in sales volumes in the first nine months compared with the year-earlier period (+1.9% overall) thanks to performance in Asia. The Group responded in full to the return to growth on the Indian market, raising vehicle sales by 4.2% from the first nine months of 2008, thanks to the sharp acceleration in commercial operations in the second and third quarters of 2009. At a constant Indian rupee/euro exchange rate, revenue growth with respect to the first nine months of 2008 would be 15.3% rather than 9.8%. On 16 October 2009, in compliance with the resolution carried by the Piaggio & C. S.p.A. Board of Directors on 15.09.2009, early repayment – for € 61 million – was made of the high-yield bond issued in 2005, through exercise of the option at nominal value plus the penalty envisaged by the bond regulation. On 19 October the Piaggio & C. S.p.A. Board of Directors adopted additional resolutions regarding the re-organisation of Group industrial and commercial operations in Spain, previously discussed at the Board meeting on 15 September 2009. 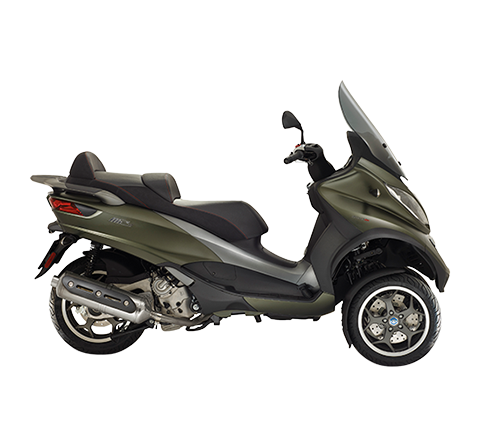 Reference should be made to the Piaggio & C. S.p.A. press statements released on 15 September 2009 and 19 October 2009 for all further information. 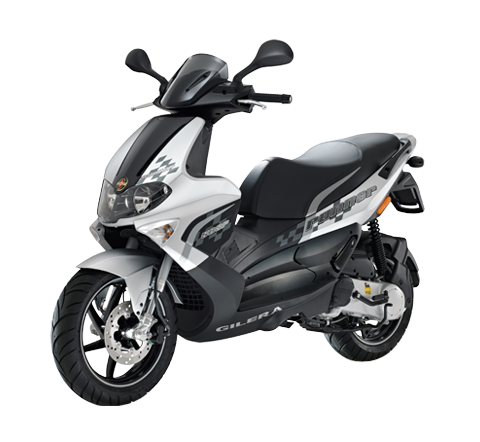 The first nine months of 2009 were severely affected by the economic crisis and by the difficulties on the markets addressed by the Piaggio Group. The first significant signs of a recovery and stability began to emerge in March. Thanks to its product portfolios for the 2-Wheel and Commercial Vehicle businesses featuring vehicles with low emissions and reduced fuel consumption, the Group will also be in a position to benefit fully from the eco-incentives introduced by the Italian Government and by the Spanish Government. During the fourth quarter, in part through the new state-of-the-art products currently being launched, the Group will pay specific attention to the growth of its motorcycle brands in Europe and consolidation of its leadership position in scooters in Europe and America. 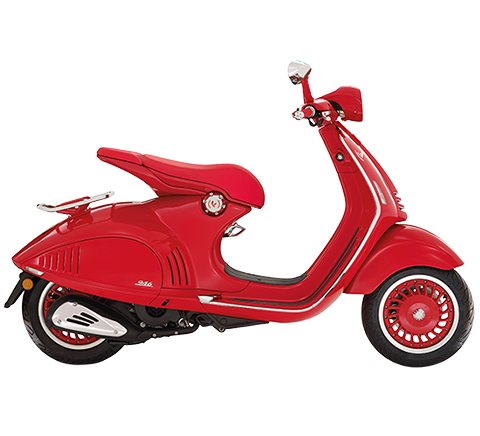 Piaggio will also be developing marketing operations for the Vespa scooter in Vietnam, which made its official debut at the end of June 2009.